You are here: Home / Fight Yourself Fit / Finally – The Boxing Punch Bag Workout You Have Been Waiting For! This Punch Bag Workout has been created and Brought to you by Cornelius Carr – former Professional Boxer, BBBofC British Super-Middleweight & WBF World Middleweight Champion. Welcome to Fight Yourself Fit – the home of my new punch bag workout. Boxing has given me so much over the years, and now I want to bring boxing training to as many people as possible, including YOU! You may have arrived at this page because you’re searching for something different – you want a challenge – you want to fulfil your potential and get fighting fit. If you want a system that gets results fast, with a commitment of just 30-40 minutes a day, 5-days a week, then you’re in the right place. I can get you on track to maximum fitness and strength and at the same time teach you genuine boxing skills. My training system is unique because I’m giving you everything I’ve learned from the inside world of boxing, combined with my skills as a personal trainer and boxing coach. If you want to tone up, lose weight, maximise your fitness and learn some amazing skills along the way, I will help you achieve this and more. With your 100% commitment, you will see results fast. I guarantee it. I urge you to read on.. This training system will show you the “inner game” skills I’ve used as a professional boxer and then developed as a coach in recent years. These skills are only usually available to students I teach personally, but now you can learn these too. I remember two key phrases that my old coach used to say to me. And they’ve have stayed with me all these years. “You get nothing from nothing” and “Train Hard, Fight Easy.” These simple words kept me focused when I needed it. I’ve had the pleasure of working with thousands of students over the years. My students span a wide spectrum of fitness levels, boxing abilities, ages, weights, body shapes, and personal fitness goals. We are all unique, but many of us have the same common goal. We are all different, but we are all the same. We want to feel great, with high energy levels and reduced stress. When we invest our time and energy in a new venture we want to succeed. We want to be inspired, tested, challenged. We want to enjoy it. We want it to work. Believe me – with the ‘Fight Yourself Fit’ punch bag workout – YOU WILL Learn to Box and YOU WILL Train like a Boxer. The Fight Yourself Fit – 60-Day Punch Bag Workout! Our punch bag workout will get you fighting fit and you will lose weight for sure. But that’s not all. 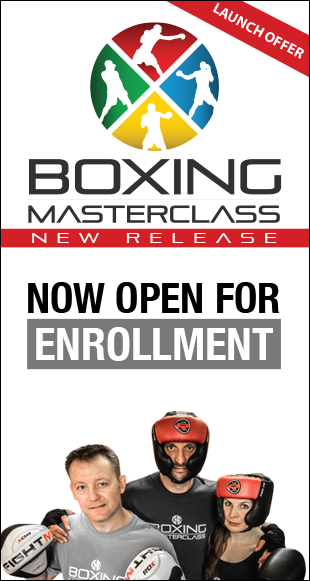 With our awesome 60-Day Program – you will learn to master real boxing techniques. 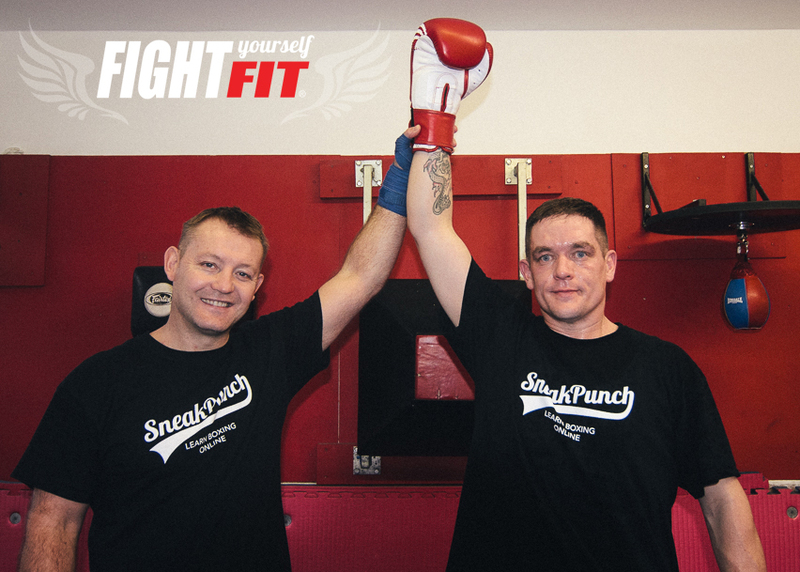 You will be learning genuine boxing skills, in-fight combinations and boxing footwork. We are true believers in learning real skills whilst you train. So, we’ve decided to up the ante. 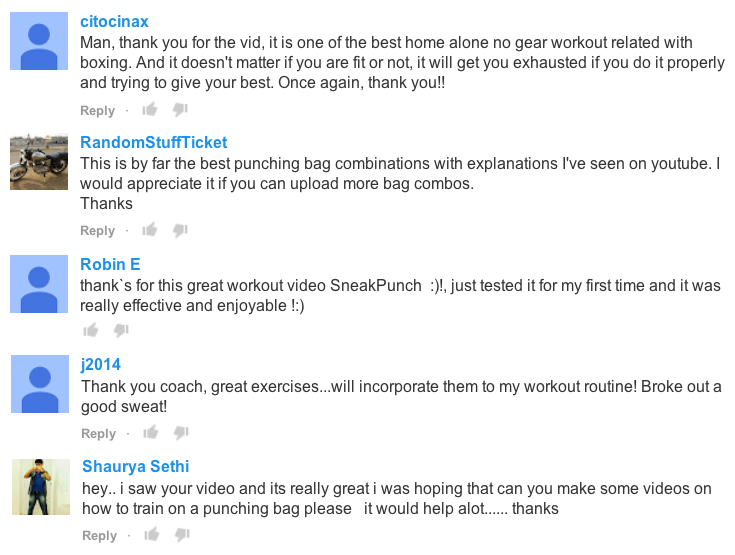 We’ve listened to feedback, we’ve reviewed our most popular punch bag workout’s and we’ve gone further than ever before. The routines we have produced are the best, most complete series of punch bag workout’s ever. These punch bag workout’s complement each other and provide a comprehensive route to maximum fitness, whilst staying true to our core. All our punch bag workout’s are based on genuine boxing skills training and provide our students with a pathway to achieve both improved fitness and improved boxing skills. Our goal is to bring you a definitive video course – covering the fundamental aspects of boxing – in ‘One Awesome Punch Bag Workout Program’, from shadow boxing to cardio to punch combinations – this is by far the biggest video project we have undertaken. With over 5-hours of video, you will enjoy learning and practising the techniques Cornelius demonstrates throughout each round – whilst working on your fitness levels at extreme intensities. In short, this boxing punch bag workout program has you covered! Beat the Boredom. Have you tried other home workouts before? Did you lose motivation and get bored? Honestly, we get it. It happens all the time. So… what if you could follow a routine that refuses to let you give up? We won’t lie to you. You will need to put the work in. You will need to focus to get through these punch bag workout’s. But there will be no time to get bored – honestly. ‘Round by Round’ Cornelius will keep you focused, showing you exactly how to perform each technique. We will push you – we will push you hard! Learn to Box Safely. Learn to Box Correctly. We want you to understand the punches you are throwing. Using proper techniques will not only enhance your skill set but will keep you safe from injury during each workout. So, we’ve included a ‘Help Video’ with Cornelius taking you through each technique used in the punch bag workout’s – ‘Step by Step’ – here’s a short clip demonstrating the ‘Right Uppercut’ which shows you what you can expect. Become a Boxer – Are you sick of punching bags and pads without really knowing if you’re doing it correctly? Do you want to discover how to improve your boxing techniques? Look no further. We’ve broken down dozens of punch combinations into short drills – it’s the repetition that will help you to make your shots even better. The Fighter’s Confidence – Are you afraid to enter your local boxing gym? Do you think you’re too old? Or are you embarrassed about not knowing the right techniques? Fight Yourself Fit punch bag workout offers the ideal preparation and will improve your confidence as well as massively expanding your skill set. Pushing the Limits. Bag training is one of the hardest workouts on the planet. You can beat the bag, but you can’t break it. The bag never gets knocked out, never tires, never gives in. You may of heard the boxing expression “The fighter left it all in the ring”. Well this is how you’ll feel (if you’re giving 100%) after every punch bag workout. Stress Relief. Other workouts can seem like a chore, especially after a hard day at work. But boxing training with a punch bag workout is completely different. After a hard day, you just want to punch that bag harder. You can zone into your training, forget about everything else and focus. Fight Yourself Fit is NOT JUST for 60-days. Each video is a standalone 30-minute full body workout that will complement any existing training routine. As you progress the punch bag workout’s will actually get harder – as you get faster, stronger and fitter – your effort will intensify. Your increased input, speed, repetition and combinations will ultimately result in maximum calories burned each workout in addition your boxing skills will improve beyond all measure. This Workout Packs a Punch! These workouts comprise a standalone training system – perfect for home training. You’re in control. You never need to feel that you’re not doing enough. So what exactly are you getting? A complete comprehensive series of punch bag workout’s that will test and make you work seriously hard. You’ll learn new skills and achieve a high level of fitness. You can train whenever you want, even in the comfort of your own home. You’ll need minimal equipment – Punch bag, hand wraps, gloves, skipping rope, a small number of free weights. That’s it! What you don’t need – gym fees, expensive workout equipment, timetables, travelling time, fancy clothes. What you can expect – cost effective, time effective, efficient private training. Hard workouts. Skill sessions. Focused training and improved concentration. Increased cardio endurance. Toned muscles. Weight Loss. Improved fitness way beyond what your expectations – and of course along the way you will learn to box. Seriously. You will learn to box. Here’s the deal. Take the first step and add yourself to our list. No commitment required – all this means that we can let you know when the punch bag workout’s are ready. This way, you will be the first in-line when we launch in January. In the meantime, make sure you join our thousands of fans on Facebook and join our YouTube channel – which is fast becoming the leading ‘how-to’box’ online channel. Thanks for taking the time to read about the “Fight Yourself Fit” punch bag workout, we really look forward to sharing more with you in the very near future. P.S. For ONE lucky boxing fan who shares this page on any social media platform – We’ll be giving away ONE copy of the ‘Fight Yourself Fit’ punch bag workout program – Absolutely FREE. Just use the hashtag #FightYourselfFit and we’ll find it.